Designed to provide continuous cold therapy to the shoulder. Helps to reduce pain and swelling and speed rehab. The shoulder wrap is 12"x13" and fits approximately a 50" chest circumference. Is the shoulder wrap made to hold up to 2 inserts? Does this product provide immobilization of the shoulder in addition to cryo therapy? 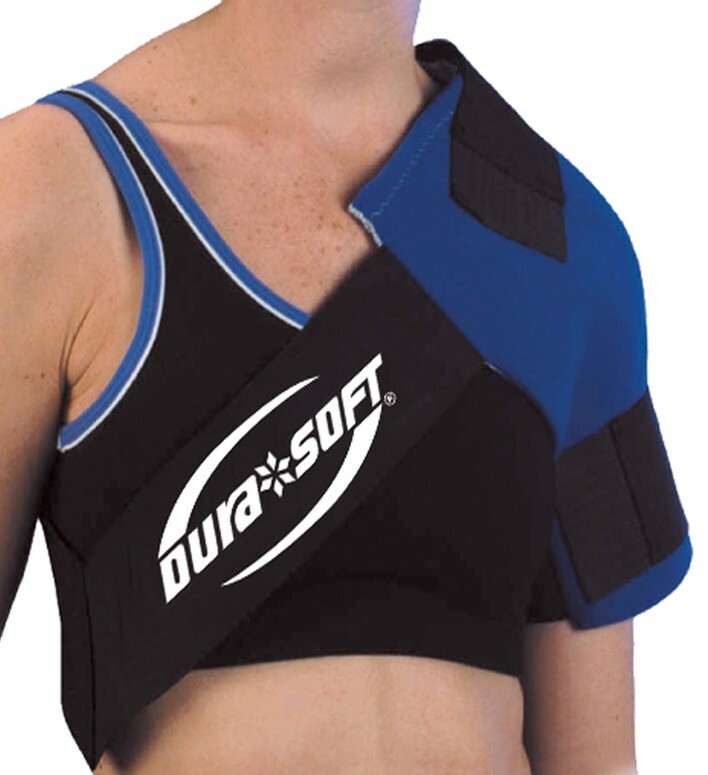 The Donjoy Dura Soft Shoulder Wrap/Back Wrap can be used for both the shoulder and back. It is a 12x13 square ice pack that can be wrapped around and secured with 2 velcro straps. This is not to be used as a sling. 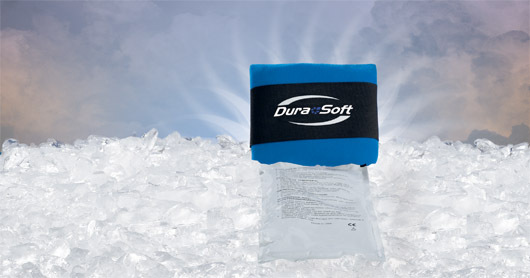 We have another product called "Dura Soft Immobil-icer, this product can be used as a immobilizer and a Cold pack. Please see the link below. How do I get the cryotherapy option to go with shoulder wrap? I'm a bit unclear on your question. The DonJoy DuraSoft Shoulder wrap is cryotherapy (cryotherapy = cold therapy). The product comes with a choice of either one or two ice inserts. How is this put on--zipper, velco, pullover, etc? I own a couple of the dura kold shoulder wraps .I need inserts can I buy them separate from the wraps? I tried several types at the Physiotherapist, and found this to be the best. It is relatively small, comfortable and applies the cooling to the right spots.